I have absolutely no doubt that The Tall Man is set to become one of this summer's sure-fire hits. I loved everything about it and shall be recommending it to absolutely everyone! The story centres upon the Banner family. 16 years earlier mum Sadie abandoned her young family, leaving husband Miles to raise baby Amber alone. But now she's returned; fearful for her daughter's life. Sadie is being pursued by a supernatural entity known as The Tall Man and is terrified he's coming for Amber. WOW, I thought this was an awesome book! It's hauntingly dark; dripping with tension and uneasiness. The reader is unsure how much is real and how much is the product of an unbalanced mind. It's loaded with dread and apprehension from start to finish. I guarantee you wont be able to put it down until you've devoured the lot! 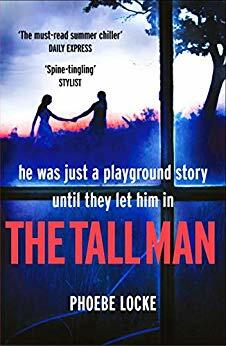 Set in the present day but cleverly using flashbacks to earlier events, the reader is shown how Sadie's life becomes entangled with the legend of The Tall Man and of the terrible consequences heaped upon her. I thought it was excellent and well-deserving of a top placing in its genre. I'm grateful to have been given the opportunity to read it. I received an Advance Reader Copy. My thanks to Phoebe Locke, NetGalley and Wildfire. Phoebe Locke is the pseudonym of full-time writer Nicci Cloke. 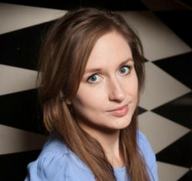 She previously worked at the Faber Academy, and hosted London literary salon Speakeasy. She lives and writes in London. 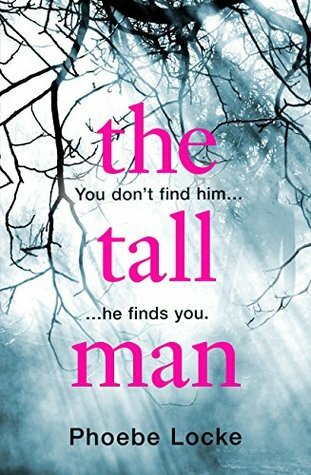 THE TALL MAN is Phoebe Locke's debut thriller and will be published in summer 2018.